Want to See Some of our SEO Results? 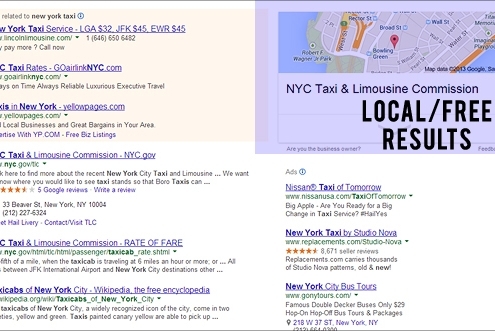 Look here for Google’s most important results on the key phrases we did SEO on: MidasFunds.com, NewYork-Visit.com. We also offer SEO and SEM services to make sure your website can easily be discovered by those who are looking for a business or service similar to yours by improving your search engine rankings. We offer SMO and SMM services to popularize your presence across the social media. The focus of our SMO/SMM stays on to help you improve your business reach by making you popular through social media. 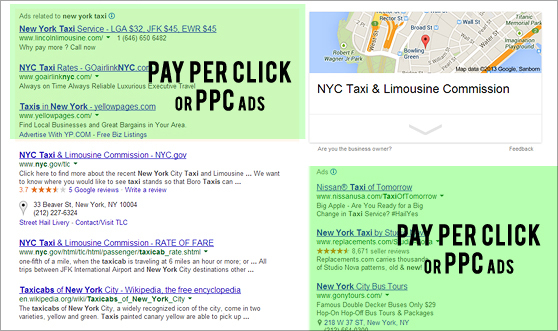 There are two kinds of search results – organic or free search results and paid search results. It is important to know the difference between the two so you can choose one or the other or both of them in your search engine marketing strategy. 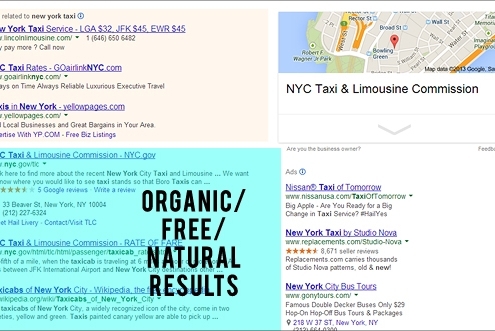 When a consumer searches for something on a search engine, like Google, the results that are shown under the search box on the left side of the page are the organic search results and the ones on the right side are paid search results. 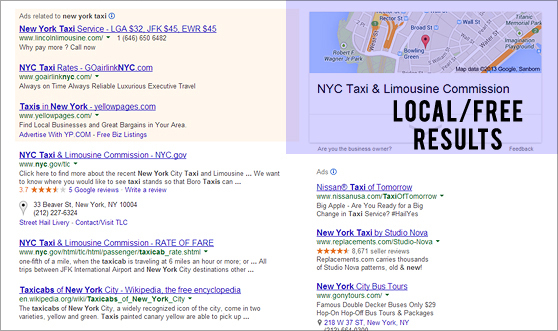 They are sometimes shown in results under the title “Sponsored Links”. 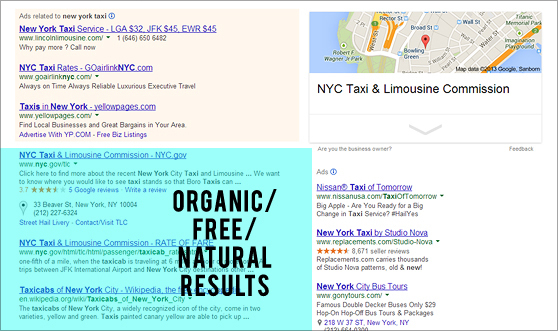 The websites that are included in the organic search results are the ones that are optimized for search engines using the right keywords. Getting listed in these results is free – the search engine spiders find pages based on their content and keywords and include the most relevant ones to the user’s query in the results. 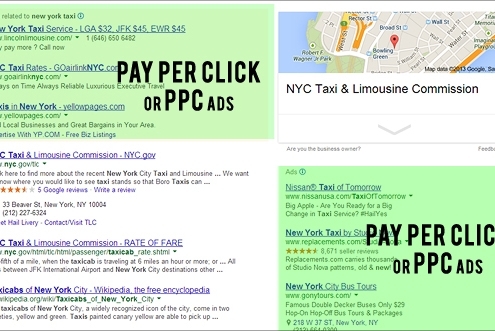 Statistically, majority of people tend to pick sites that show up in the organic results over the paid results. Social media optimization can be used in multiple ways to promote your products or services. Social media features can be added to your existing website, as part of the content itself, including: RSS feeds, social news and sharing buttons, user rating and polling tools, and incorporating third-party photo and video sharing communities. Along with adding social media to your websites, we can also create a presence for your brand on multiple social networking platforms including Facebook, Twitter, LinkedIn, blogging, participating in discussion groups, and posting status updates on social networking profiles We create content that attracts attention and encourages readers to share it with their social networks like Facebook, Twitter, YouTube etc. We can use the Social Networks to promote your product in real-time and bring customers in. Our comprehensive approach to getting your website to the top of organic search results include many steps: As a part of our packages we do the following: Web Design & Development, Graphic Design, Website Renovation or Redesign and E-commerce Solutions. Here’s how we do it: We form a strategic Internet marketing plan around search engine optimization (SEO), pay per click advertising, social media marketing, conversion optimization and search-optimized Web design. Then, we tenaciously go to work so you can quickly dominate your online competition. We will make a keyword research for you to ensure that only relevant and high traffic queries that describe your specific products or services will be promoted during our organic search engine optimization process. In such a way you’ll attract maximum volume of relevant traffic and expand your online presence to the new heights. quality one-way link building for: link popularity (number of inbound links) growth; PageRank (overall weight of inbound links) growth; anchor text ranking (structuring of links with the particular anchors).